Robert Pattinson, the British heartthrob of Twilight fame and glory, recently spent some time in the Big Apple plugging his new movie Remember Me. New York City, overloaded with world-class hotels and fancy accommodations, left many choices for the star, but Pattinson opted to stay at the Mandarin Oriental NYC. With 202 guest rooms and 46 suites, the hotel occupies the 35th to 54th floors of the Time Warner Center. Great views of Central Park, the Hudson River and the rest of the Manhattan skyline had to be part of what attracted Pattinson to the Mandarin. His stay, during early March, is already completed. And it is a good thing, as his blood-thirsty female fans would have swarmed Columbus Circle had the news of Pattinson’s temporary digs leaked before his check out. Instead, the vampire-playing actor kept his lips sealed until he was long gone. And a smart move too, because it appears as though Pattinson’s celebrity might become a hazard. 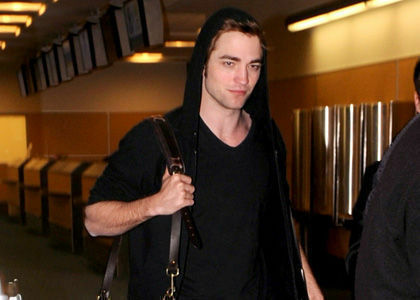 It was recently reported that Pattinson needs to travel with five bodyguards. This increase in security occurred after he was nearly killed in New York City’s Union Square when a large group of female fans ambushed him and almost pushed the actor into on-coming traffic. So even though we at FTF love telling our readers where the hottest celebrities are traveling to, it might be best if we keep Pattinson’s latest whereabouts hushed… for now!